The Hammers Are Currently 4/7 To Win! Based previously out of Upton Park in East London and now the refurbished London Stadium, West Ham United Football Club has had a rich history of representing exceptionally the English tradition of football. The club was originally founded as Thames Ironwork Football Club in 1895, a strictly amateur club made up of tradesmen. Despite their apparent inexperience, the Club became the first ever winners of the local West Ham Charity Cup in 1895, and then continued to win the regional London League in 1897. Proven winners, Thames Ironwork F.C was invited to join the Southern League, a regional, professional league that included football clubs who had also experienced local success. For the next three years, Thames Ironwork F.C achieved the minimum level of success required to stay in First Division Southern League. The Club's recent spurt of success, however, was not enough to avert a series of administrative financial and bureaucratic disputes that eventually led to the Club's dissolution. Fortunately, the Club was immediately re-launched in 1900 as West Ham United F.C. The team is still referred to as the "Irons" or the "Hammers" by many loyal fans, however. Newly rejuvenated, West Ham joined and won the First Division Western League in 1901, while continuing play in the First Division Southern League. After playing in each of these regional soccer leagues until 1923, West Ham was promoted to the Division One Football League. Impressively, the team managed a berth in the FA Cup Final their first year in the League, and demonstrated at least mediocre success for ten years after their arrival in Division One. In 1932, the team was relegated to Division Two, and the team underwent a series of personnel changes, including the firing of long time custodian Syd King. Eventual manager, Ted Fenton, succeeded in returning the club to Division One in 1958 and organizing a group of young West Ham players that would eventually achieve stardom. With revamped management and a young, eager team, West Ham won the FA Cup in 1964 and the European Cup Winners Cup in 1965. Moreover, key members of the 1966 English World Cup team were West Ham players, such as Geoff Hurst, the only player to date to have scored a hat- trick in the World Cup Final. The Club reached and lost the European Cup Winners Cup Final in 1976, got demoted to Division Two in 1978, but still managed to win the FA Cup Final in 1980. West Ham United FC has been a member of the Premier League for all but three years since its creation in 1992. The Club reached the FA Cup final in the 2005-2006 season, and took the heavy favourite Liverpool to a penalty shootout after an exciting three- all draw (Liverpool equalising in the dying minutes thanks to Steven Gerrard). The Club has since been embroiled in controversy mainly thanks to the signing of Carlos Tevez and his subsequent move away from Upton Park. At the moment West Ham are facing several claims for compensation relating to the Carlos Tevez affair. Hammers fans are renowned for their passion, some would even say it borders on being scary! 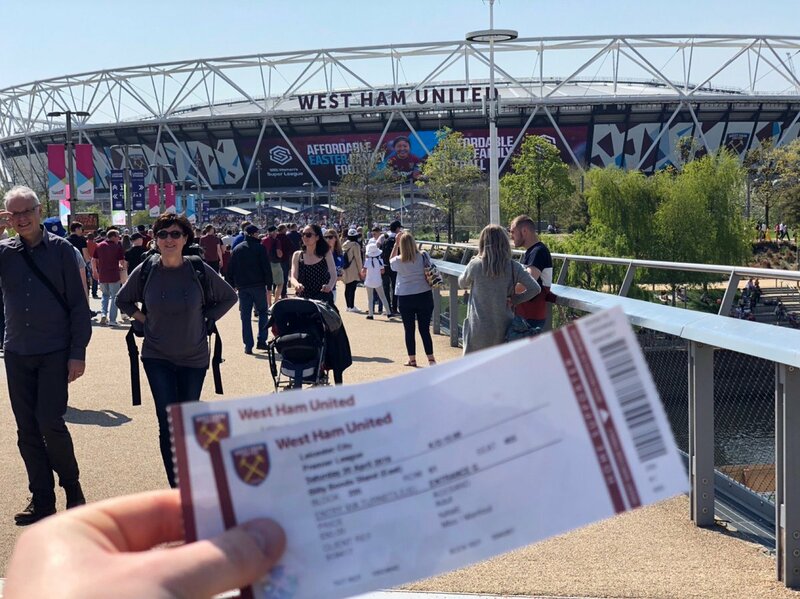 There are large group of West Ham fans who regularly travel all over the UK to watch West Ham live, a fact born out of the lack of live TV coverage maybe? 44' - Pablo Zabaleta - West Ham United - won a free kick in defence. 43' - Jonny Evans - Leicester City - won a free kick in defence. 41' - Ricardo Pereira - Leicester City - won a free kick in defence. 37' - GOAL!!! 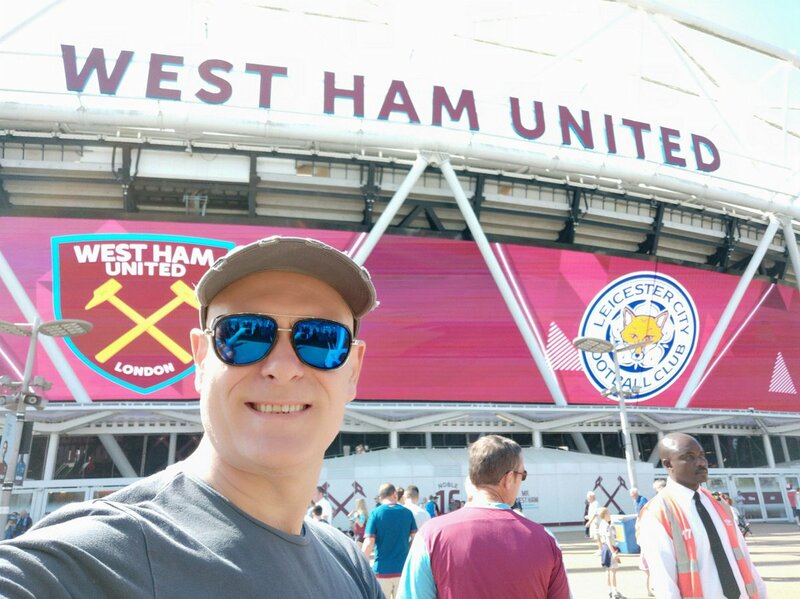 West Ham United 1, Leicester City 0. Michail Antonio - West Ham United - shot with the head from the centre of the box to the right corner. Assist - Mark Noble with a cross. 35' - Mark Noble - West Ham United - won a free kick in defence. 34' - Corner - Leicester City. Conceded by Arthur Masuaku. 33' - Missed chance. Michail Antonio - West Ham United - with an attempt from the centre of the box missed to the left. Assist - Felipe Anderson. 32' - New attacking attempt. James Maddison - Leicester City - shot with left foot from outside the box is saved by goalkeeper in the centre of the goal. Assist - Wilfred Ndidi. 29' - Missed chance. Jamie Vardy - Leicester City - shot with right foot from the right side of the box is close, but missed. Assist - Marc Albrighton. 27' - Corner - West Ham United. Conceded by Ben Chilwell. 26' - New attacking attempt. Michail Antonio - West Ham United - shot with right foot from few metres is saved in the top centre of the goal. Assist - Marko Arnautovic with a cross. 24' - Robert Snodgrass - West Ham United - won a free kick on the left wing. 20' - Michail Antonio - West Ham United - won a free kick on the right wing. 17' - Missed chance. Angelo Ogbonna - West Ham United - shot with the head from the centre of the box missed to the left. Assist - Robert Snodgrass with a cross after corner. 16' - Corner - West Ham United. Conceded by Ben Chilwell. 15' - Delay in match Michail Antonio - West Ham United - - injury. 11' - Michail Antonio - West Ham United - won a free kick on the right wing. 11' - Offside - Leicester City. Ben Chilwell with a pass, however Jamie Vardy is in offside. 8' - Corner - Leicester City. Conceded by Pablo Zabaleta. 7' - Jonny Evans - Leicester City - won a free kick in defence. 6' - Corner - West Ham United. Conceded by Youri Tielemans. 6' - Corner - West Ham United. Conceded by James Maddison. 6' - Shot blocked. Robert Snodgrass - West Ham United - shot with left foot from the left side of the box is blocked. Assist - Mark Noble. 4' - New attacking attempt. James Maddison - Leicester City - shot with left foot from outside the box is saved in the right corner. Assist - Jamie Vardy with a head. 3' - Missed chance. Marko Arnautovic - West Ham United - shot with right foot from outside the box missed to the left. Assist - Arthur Masuaku.